There’s a problem that is faced by the girls world over. The problem of lashes. Some have small lashes, some less, and some have none. But why is that a thing to worry about when you have got a plethora of awesome lashes to choose from? Remember, if you can’t make it, FAKE IT! Putting on false lashes works wonders. All you need to pull it off to perfection is a bit of practice, a few little tricks, you’re good to go. In no time, you will be putting on your fake lashes like it’s nobody’s business. Aside from practice, tricks, and deft fingers, there is one more thing that every girl should be in possession of and that is a pair of high quality, natural looking lashes. How to select one, you wonder? And how to decide which one is the best? Wel,l you are lucky that you stumbled upon this blog because here’s an overview of the 7 best Kiss eyelashes that every girl should own. Seriously, it might be a fashion crime not to have these, so let’s save you before you’re arrested by the fashion police. This brand comes up with seven different styles, sultry being one of them. 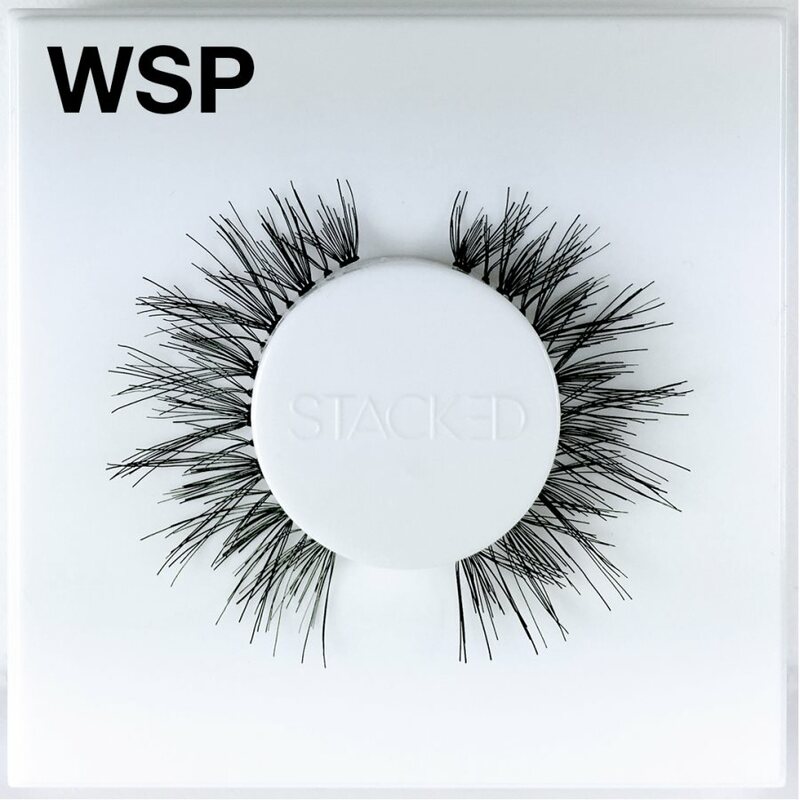 These lashes are well liked by many fashionistas for being lightweight and feathery. Also, they are super affordable, which doesn’t hurt either. These lashes have tapered ends which give them a natural looking vibe. Sultry may sound like an over the top look, but in reality, it only gives subtle definition to the eyes. It doesn’t even make it apparent to anyone that you are wearing false lashes so most people will think that you are blessed with these beautiful natural lashes – a great choice for daily usage. So it’s a win-win situation for all. Shy is a little more thick and voluminous than Sultry. The perfect choice for a night (or day) when you need to make an impression. It gives a lady a sophisticated look. One of the most liked factors of this range was not just its natural looking vibe but also how natural it feels. 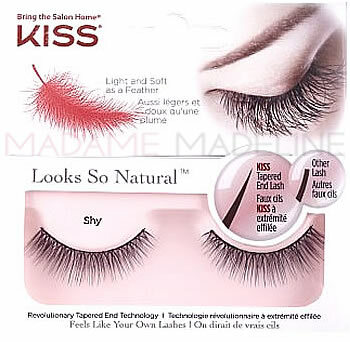 As it says on the packaging, 97% women forgot they were wearing Kiss looks so natural eyelashes and all the women who tried it agree. 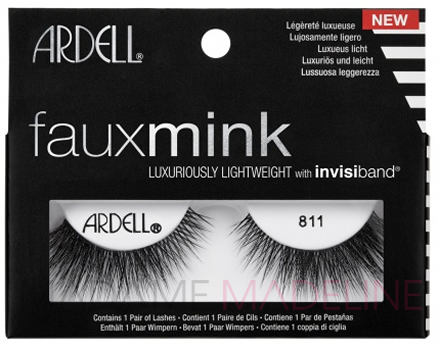 For fans of Ardell Demi Whispies, this is the go-to lash. The quality and nature of these lashes have garnered many loyal fans. There are two things that every girl looks for in false lashes. Volume and natural looking, Kiss true volume has both, with the added benefit of being within everyone’s means and lighter on the eyes. If you are wondering what’s the fun in wearing false lashes that are just like real lashes, know that these lashes are just long enough to give a girl a flare of drama. The reason that the i-Envy range eyelashes by Kiss got so many positive reviews is because it was found relatively easier to apply by many women than any other false lashes. Even the first timers got it right on their initial try, which is a shock, really. The difficulty that girls face in applying false lashes has made many anti-falsies. But not with this one, I Envy false eyelashes has managed to convince a large population that false lashes are no drama trouble to apply after all. It is just a matter of selecting the right brand. The EZ is referring to easy. Yes it is with absolute ease that girls can apply these lashes. That’s what every other brand says, right? Well, not this one. Actually, this one also claims that. But it has the right to! The Kiss Ever EZ lashes comes up with easy applicator that makes it very easy to apply. It gives something to hold on to at the time of application. It also solves the problem of glue everywhere since the applicator allows you to have something to hold on to, you won’t end up with glue on your hands. This one instantly became an absolute favorite of women. Kiss Blooming Lashes, with its multi-angles technology and tapered end lash feature, gives full and natural looking lashes. No need of mascara when using these lovelies. Kiss Blooming Lashes gives a multi-layer ‘flutter’ look to the eyes and they are available in not one but five different styles. All you need is to find the perfect fit for your eyes. 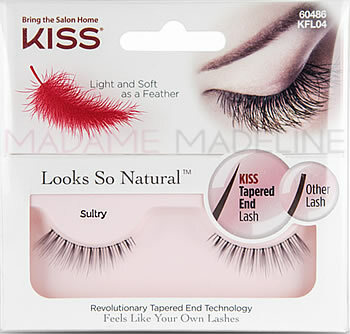 One more range by Kiss, this one is also one of the beloved false lashes of many women. What makes Kiss Haute Couture Eyelashes even more worthy of everyone’s money is the complete package it comes up with. An applicator and a fantastic tube of glue. They are so black that mascara is not needed either. And without using mascara, the same pair of lashes could be used twice. Lashes are important, putting on the right ones even more so. A little judgmental error on your part might end up with your eyelashes falling down your face and your day (or night) becoming a stuff of nightmare because it might not be pretty look on you. So make the right choice and choose the lashes that stay with you through the day and look good on you. Women who like to mix things up and love to experiment with different types must try some Red Cherry false lashes as well. Also most false eyelashes by Kiss are made with 100% premium remy human hair and cruelty-free, in case anyone was wondering. Love all these beautiful Kiss falsies eyelashes! Definltely lashes for daysss!